This might look like an uncomfortable couch to sit on but it sure looks like fun. 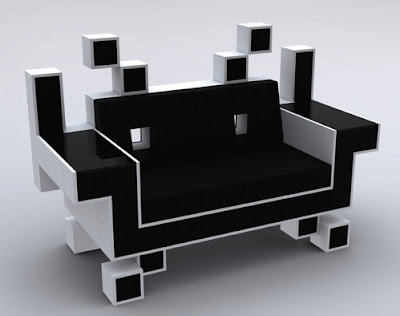 Whether you’re a vintage video gamer or 80′s lover, there’s no denying that a Space Invaders Couch would be the centerpiece of your gaming room or if you married a nerd- your living room. Conceptualized by Igor Chak, this couch is not being produced and probably never will. But hey, one can dream, right?